A Chicago firefighter died late Sunday after returning from a call to put out a small cooking fire on 99th Street. The firefighter, identified as 61-year-old Walter Patmon Jr., returned to his firehouse and was cleaning his gear when he started not feeling well, Chicago Fire Commissioner Jose Santiago told reporters. "Upon returning to the firehouse and while cleaning equipment, the firefighter began having shortness of breath, which was followed by a visitation to the hospital ... and he went into cardiac arrest," Santiago said. Patmon was pronounced dead just before 11:30 Sunday night at Little Company of Mary Hospital in Evergreen Park. The 18-year veteran leaves behind a wife and three daughters. Patmon had worked at the 95th Street firehouse for the last 11 years. 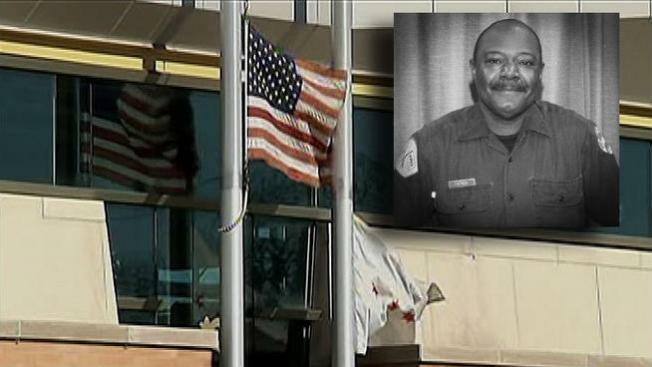 The firehouse lowered its flag to half-staff in his honor. "He's going to be missed," said firefighter Michael Griffin. "He was a steady guy, had a nice demeanor, known for his cooking. He used to be the barbecue champ." "It's kind of hard on the department right now," said Lt. Gerald Glover. "You've got three that lost their lives in the last two weeks, we've got a lot of guys who are feeling real bad right now." Firefighter Michael Boyd of Truck 28 also passed away Sunday night. He had been on extended medical leave fighting cancer. On Thursday, Capt. Herbie Johnson was laid to rest after he died in the line of duty. “It’s been a very rough week,” Chicago fire spokesman Larry Langford said.